Will Darth Vader be able to save Rogue One: A Stars Wars Story? Since Disney bought Lucasfilm in a multi-billion deal with George Lucas in 2012, the American company has been busy working on a new generation of Star Wars movies. And the first of these, J.J. Abrams’ The Force Awakens, sure was an international hit, and quickly became the top-grossing Star Wars movie of all time. Disney has other Star Wars film projects in the works though, including a movie focusing on Han Solo in his early years as a smuggler, and also a sequel to Abrams’ The Force Awakens which is slated to hit the theatres in 2018. Of course, there’s also Rogue One: A Star Wars Story, which is coming to theatres in December this year, and is surely a movie that many Star Wars fans will be looking forward to this Christmas. The thing is, however, that early trailers for the movie have not looked that good, mainly due to the overly serious tone of the film, as director Gareth Edwards’ movie appeared to be missing the trademark Star Wars humour. Movie director Gareth Edwards was also behind the 2014 movie Godzilla, a good film that lost some of its appeal due to the lack of comic relief one expects to find in a blockbuster, although the film did go down well with the critics and did do well at the box office too. And going back to the upcoming Rogue One movie, it is clear that Disney executives also thought the movie looked a bit too serious, as they requested that certain scenes be reshot in order to “lighten the mood” before the film’s release this Christmas. Rogue One takes place before the original Star Wars movie released in 1977, and its plot focuses on the Rebel Alliance’s plans to get hold of the Death Star plans (which Princess Leia had famously hidden in a R2-D2 unit in the first Star Wars movie). One thing that got Star Wars fans excited in the movie’s latest trailer was no doubt the appearance of Darth Vader at the end, the helmeted villain that was the main antagonist in the original Star Wars trilogy. 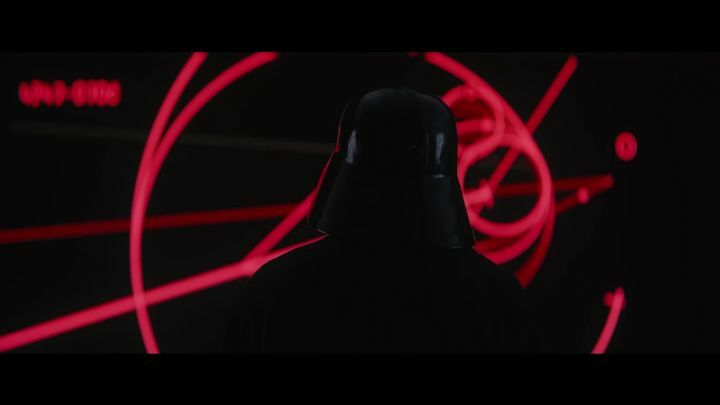 We don’t know yet how much Vader will feature in the film though, but seeing the Sith Lord again in a Star Wars movie might be reason enough for many to go and watch director Gareth Edwards movie, despite any other shortcomings the film may have. In the end though, it is hard to think that a new Star Wars film wouldn’t do well at the box office even if the filmmakers go for a more serious tone than its predecessors, although we’ll know for sure whether Rogue One: A Star Wars story lives up to J.J. Abrams’ The Force Awakens movie when it hits the theatres on December 16 this year.